It is not unusual for employees and employers to reach a stage where they both feel it would be beneficial to terminate the employment relationship. This may be because of cutbacks in the business or because of an unsettled dispute. Settlements agreements allow for a resolution of these circumstances on terms that can be beneficial to both parties. As part of all settlement agreements, an employee must seek expert legal advice. Settlement Agreements – What are they? A Settlement Agreement is a legally binding document (a contract) that terminates the employer-employee relationship, or brings an employment dispute to an amicable end. Generally it is an employer who will propose a Settlement Agreement, however it is open to an employee both to suggest and to negotiate the terms of the agreement. The terms of a Settlement Agreement will be specific to the dispute and the relationship, however under a Settlement Agreement and employee will normally waive any future right to bring a claim before an Employment Tribunal in return for an agreed sum. Other common terms include an agreed termination date, or or a positive reference for the employee. How do I enter into a Settlement Agreement? 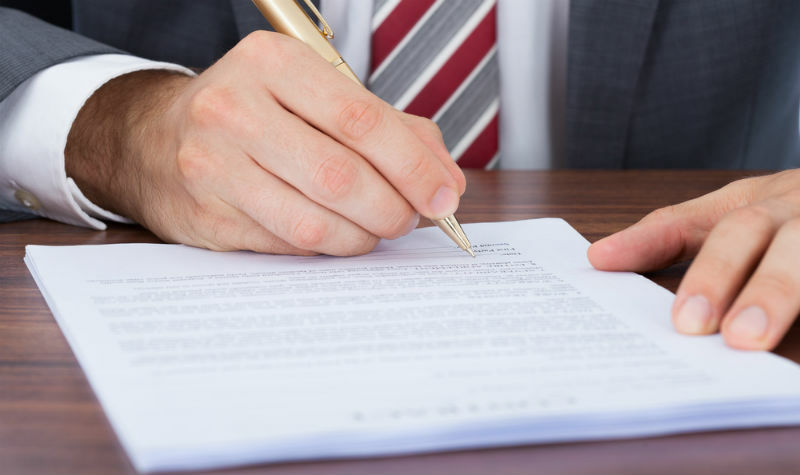 A Settlement Agreement is a legal document and as a result, it carries with it certain legal consequences. In order for a Settlement Agreement to be binding on the parties, an employee must receive independent legal advice on the proposed terms of the Agreement. The advice must come from an independent legal advisor, who also holds professional indemnity insurance. At Employment Law Edinburgh, we offer comprehensive advice to employees on the terms of Settlement Agreements on a regular basis, and are very accustomed to negotiating the financial compensation offered by employers. Furthermore, The legal requirement for an employee to obtain legal advice often results in the employer paying the fees of the employee's legal advisers. We carry professional indemnity insurance and offer pragmatic, tailored advice to employees which is not affected by an employer's paying for the fee of our services. Do I have to accept the terms of a Settlement Agreement? Employees are not obliged to accept the terms of a Settlement Agreement as offered by their employer. Where an employee believes that the proposed Settlement Agreement is unsatisfactory, the legal advisors of the employee will negotiate with the employer, for terms that are agreeable. What happens if I accept the terms of a Settlement Agreement? Where an employee accepts the terms of a Settlement Agreement, after receiving independent legal advice, it will be signed and returned to the employer. The end of the employer-employee relationship, often identified as the 'Termination date' will be set out within the Settlement Agreement along with a timetable for the employee to expect payment of their financial compensation. Generally, a reference will be provided by the employer, to allow the employee to find employment elsewhere. Following the signing of the Settlement Agreement, the relationship will be brought to an end, the employee will be issued with the necessary compensation and will no longer hold any right to bring a claim before an Employment Tribunal. If you are considering the use of a Settlement Agreement in a dispute with your employer, or have already received one and have concerns about its terms, contact our specialist employment lawyers now. Our advice is tailored to your situation, and will often be the responsibility of your employer to pay for. Contact our Employment Law Solicitors on 0131 510 5788 or complete our online enquiry form.